According to Nielsen SoundScan, LP sales are up (In January it was reported that LP sales rose 14%), so you’d think more furniture designers would come up with smart LP storage solutions. There aren’t a ton of selections on the market, but we did find a few options. Good question. 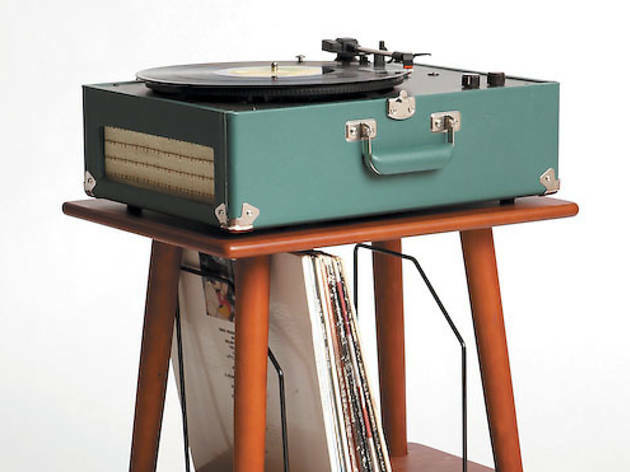 According to Nielsen SoundScan, LP sales are up—in January Billboard Magazine reported that LP sales rose 14 percent—so you’d think more furniture designers would come up with smart LP storage solutions. There aren’t a ton of options on the market, but we did find a few. If your record collection is fairly small, the Manchester media stand ($89 at Urban Outfitters, locations around the city, urbanoutfitters.com) could work. 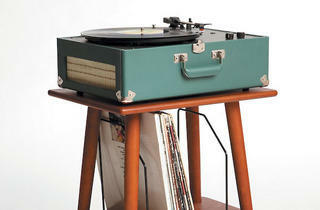 It’ll also hold your record player, which is a nice bonus. More of a collector? You might want to go with the LPBIN ($250 at lpbin.com). It channels a record store (remember those?) aesthetic, and if your apartment has a mod vibe, the white finish would work nicely. And, of course, you could also display your records as art on the wall. But rather than framing the LPs, which makes it difficult to access the records when you want to listen to them, hang them using L-shaped screws. They’ll display nicely and you’ll have easy access. We found great instructions for this setup at lifehacker.com.